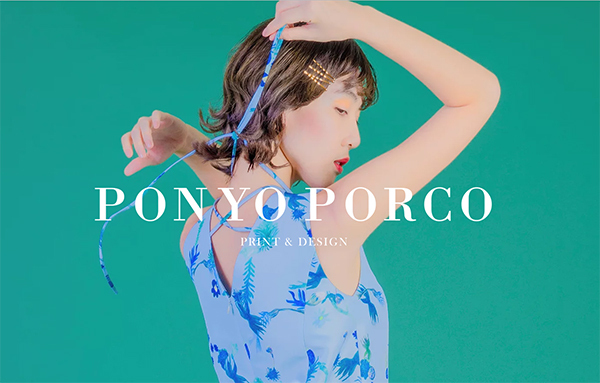 Ponyo Porco, based in Taiwan, is a print & textile design company focusing on fine art, fashion, and graphic design with the intention of their painterly prints being used across the spectrum. 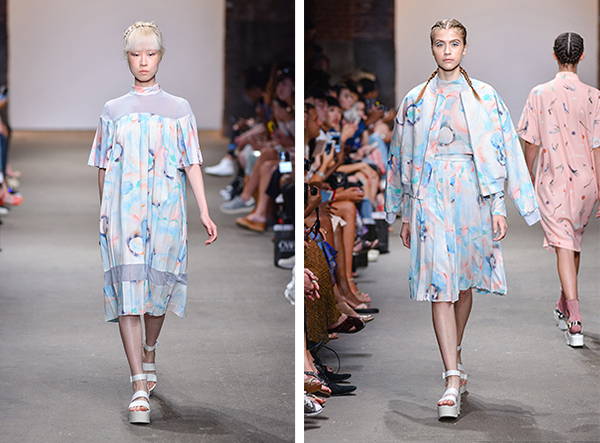 Ponyo Porco’s hand-painted print designs lend themselves to uses from home decor to fashion and more and has landed the brand a coveted spot in New York Fashion Week this year. Take a look at our recent interview with Crystal Lupa and Larry Chen, the creative design duo behind Ponyo Porco. 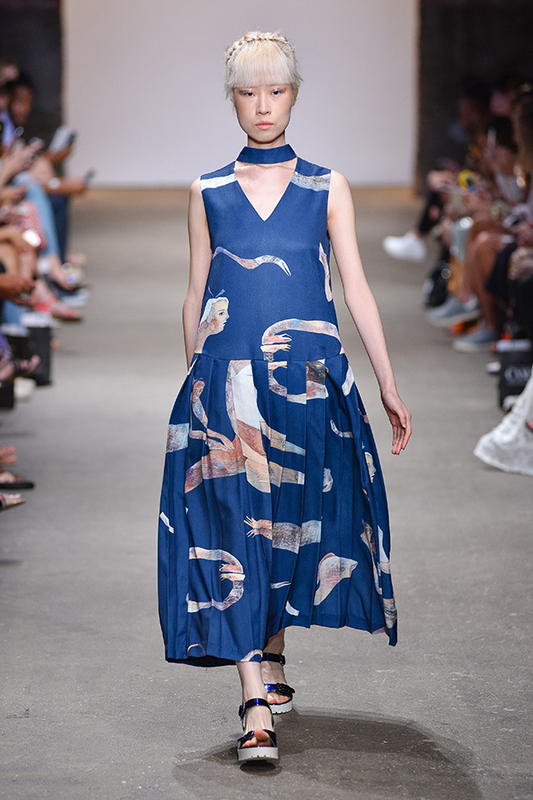 Ponyo Porco at 2016 New York Fashion Week. 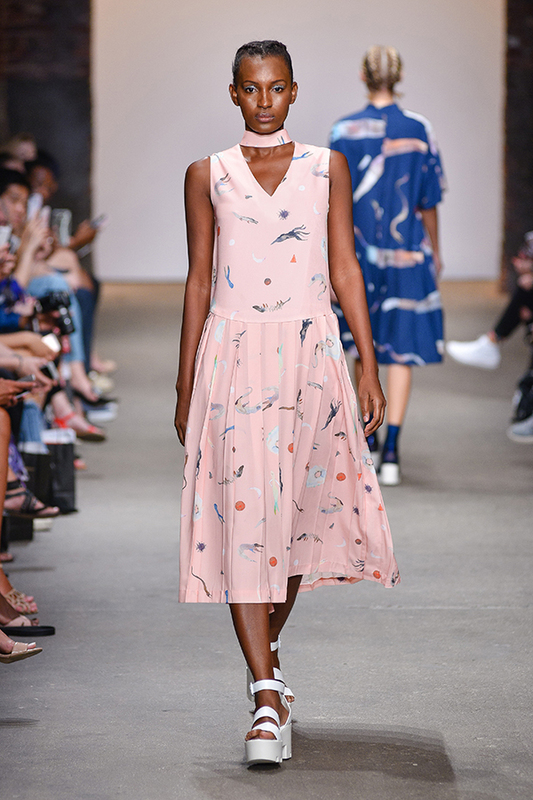 I saw your runway show at NYFW this past fall, is this the beginning of Ponyo Porco being a part of the international fashion industry? Lupa: It was really a good start for us to share our concept and creations around the world as we are a very new team. It’s not easy but we are working hard on developing our brand to be more connected with the international creative industry. 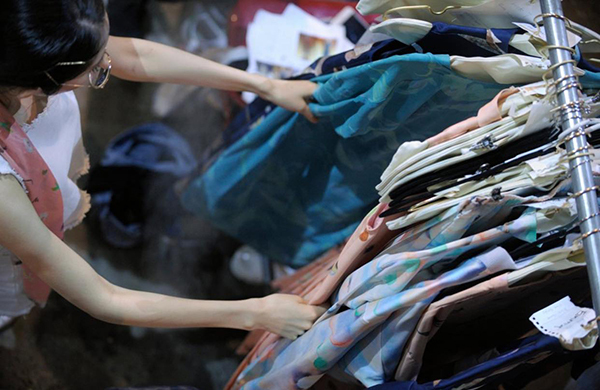 How did you become interested in working for the fashion industry? Larry: Ironically, we started our careers not that interested in the fashion industry but we both liked to create and design with prints. And since Lupa graduated with a focus on fashion design women’s wear, we combined our specialties to create a brand that is not just about fashion, but more so a print lifestyle brand. 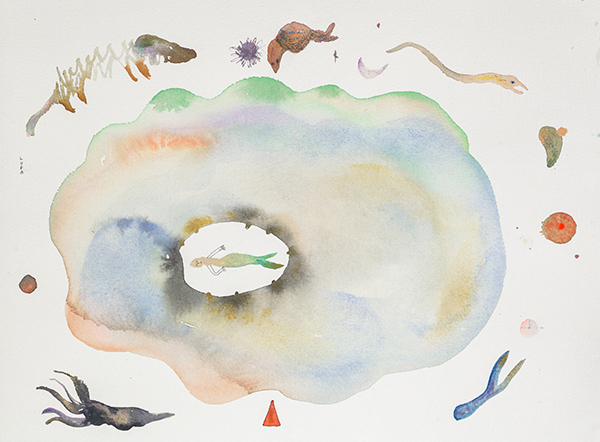 Artist Crystal Lupa, one of the creative forces behind Ponyo Porco. I noticed that each collection has an excerpt or poem that goes with it, what came first as inspiration – the writing or the collection? Lupa: You’re right. 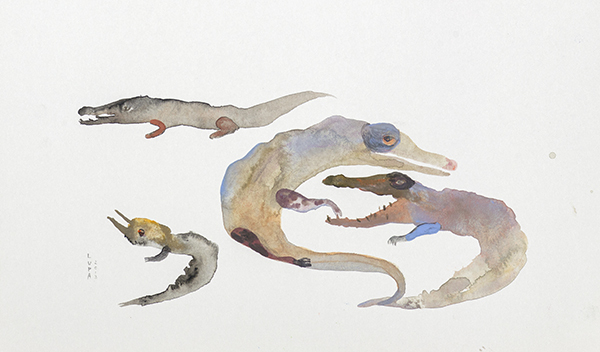 Each print has it’s own poem and original artwork. The poems are always written once the artwork is complete and serves as a description. Original artwork for Ponyo Porco prints. Since your designs have a fairytale aspect (especially with the use of writing) are their any childhood stories, folktales, and stories etc. 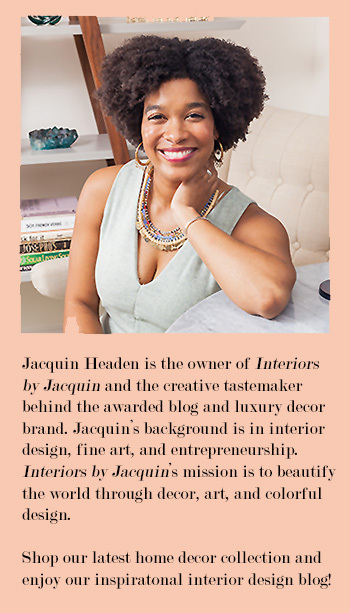 that inspire the design process? 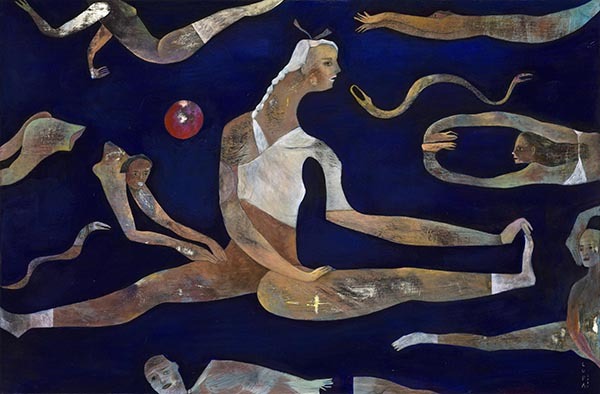 Lupa: My painting style is definitely inspired from childhood stories and folk art. I often create characters with self-invented logics about the world, and love to express a glimpse of cold, dark charm in the style of naïve amusement. I’m especially attracted to seemingly inanimate organic forms. While trying to endow them with personified characteristics, I also like to demonstrate an event or scene narratively. What is each of your favorite pieces, or favorite collections you have worked on? 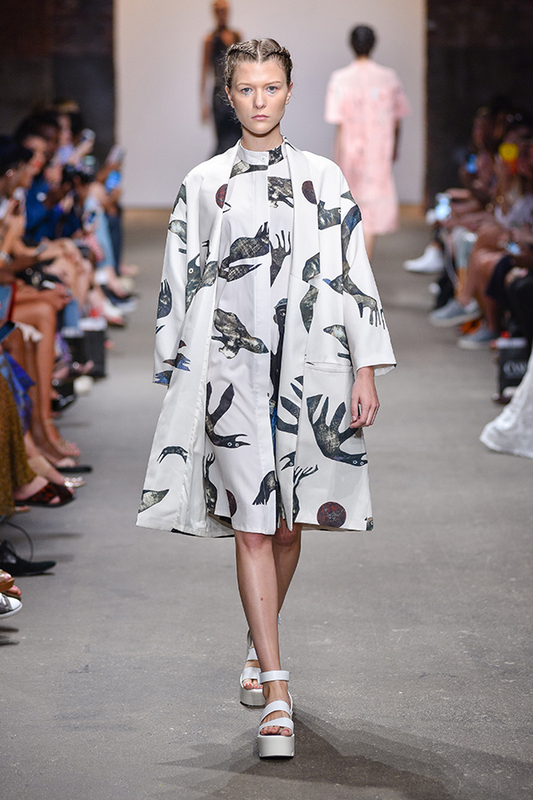 Lupa: My favorite pieces are the prints of WITCH&CROWS coat and the POOL pleated dress. Larry: I like the printed coats in all prints! Do either of you have a fashion icon that you find inspirational? Since, Ponyo Porco is based in Taiwan, how does that influence your work? Lupa: Although we founded the brand in Taipei, most of the education in art and working experience is in London. So I can say that there is a mixture of cultures in the creation. Taiwan is a beautiful island filled with oriental visual inspiration as well as various foreign influences, both of which greatly impact our work. How does Ponyo Porco want their buyers to feel when they wear your collection? Larry & Lupa: Unique, bold, delicate, and playful! 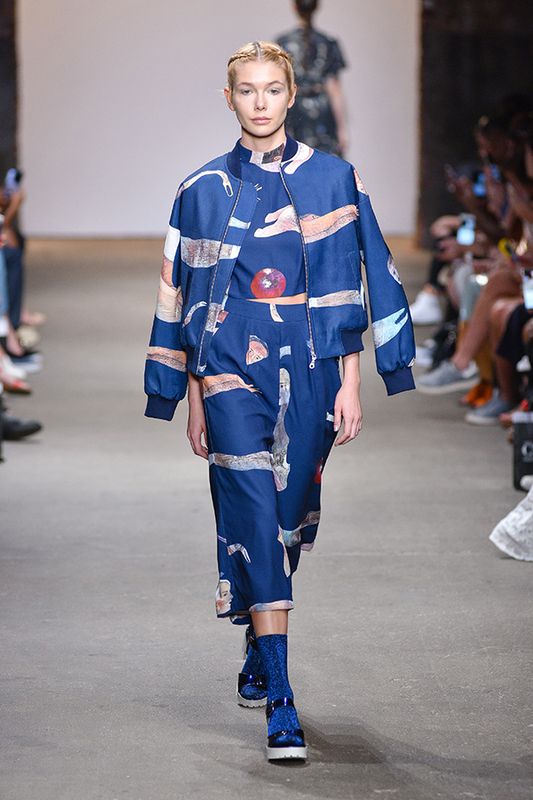 How much does the type of material and fabric influence each piece? Is there a specific way in which you select them? Lupa: For Ponyo Porco the textures and characteristics are very important. Before we confirm the fabric for each piece, we digitally print on more than 15 kinds of materials for samples. We use 100% polyester fabric for pieces that need to be pleated, because the cotton won’t stay in pleats after a few washes. And for the coats and bomber jackets, we use 100% cotton with a satin finish to bring a subtle glow for more formal occasions. What do you hope to see Ponyo Porco to become in the future? Larry: So far we have developed our print ideas into a diversity of products such as clothing, accessories, paper products, and packaging. As we move forward we look to cooperate with brands, manufacturers, and studios from various fields to develop creative products in even more forms. There will also be a great 2017 calendar and a menswear capsule collection. Overall, we hope to become a strong design team and feast for the eyes of the print lovers around the world.